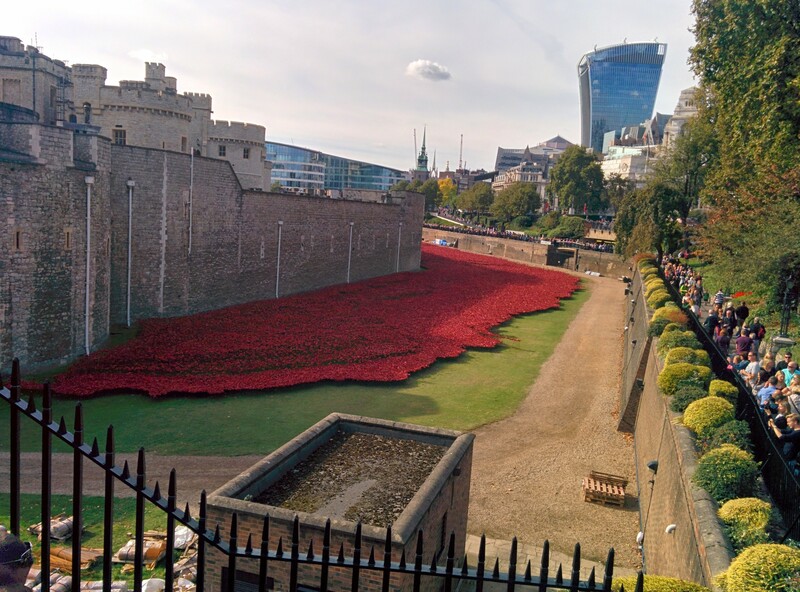 #365DaysofLondonBaby – Day 13 – Poppies at the Tower (TBT) | That's London Baby! It’s TBT (Throw-Back- Thursday) on London Baby! If you are in London, you have undoubtedly met the Fundraisers of the British Legion selling poppies at Tube Stations and other places to raise money for the Poppy Appeal to support the Armed Forces Community and specifically the Veterans of Past and Current Conflicts. Last year, Europe remembered the outbreak of the First World War and the most impressive and touching tribute was installed at the Tower of London. Starting in July 2014 until November, 888,246 handmade Ceramic Poppies were planted by volunteers in the moat of the Tower. Each one standing for a British / Commonwealth Serviceman who lost their lives in World War I. 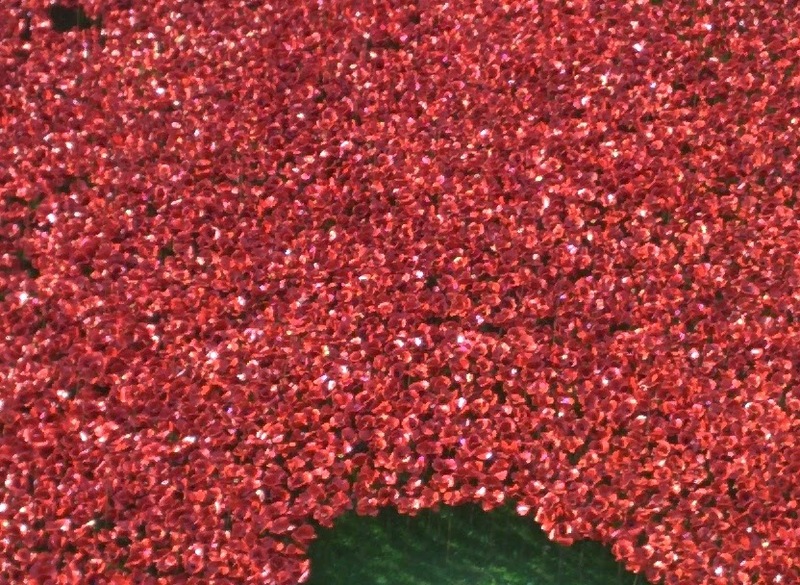 The installation was by artist Paul Cummins and its official title was “Blood Swept Lands and Seas of Red”. Pictures hardly describe the scale of this artwork and for almost 3 weeks, it was super busy, as people flocked to see the poppies. I have been lucky to cycle by the site weekly during the installation and seeing it grow slowly was very impressive. After the removal, all poppies were sold to raise further funds for the poppy appeal. Unfortunatly, all that remains are the memories, but remember to get your poppies soon if feel like supporting the appeal.